There is a group of bloggers and journalists that know stuff about Apple and its upcoming iPhone 5 and iPad mini release dates. We don’t know how they how and they’d be fools to say. Nevertheless, when two of the most reliable names in Apple rumorological studies start saying the same thing, it behooves the rest of us to pay attention. That said, it’s time to reconsider the iPhone 5 + iPad mini mega event, which Tapscape and everyone has been saying will fall on September 12 with product shipping nine days later on September 21. Daring Fireball pundit John Gruber has been thinking about the iPhone 5 and iPad mini releases, and concluded that it just doesn’t make sense for Apple to introduce them at the same September 12 event. I’m thinking it makes more sense for Apple to hold two events. First, an iPhone event, focused solely on the new iPhone and iOS 6. Then, the iPhone ships nine days later, and there’s another wave of iPhone-focused attention as the reviews come out. Then, in the first or second week of October, Apple holds its traditional “music event,” exactly along the lines of the events at which they’ve been debuting new iPods for the last decade. Yep, scheduling the iPhone 5 and iPad mini release events on September 12 would be a waste for Apple, dividing customers’ attention and dollars. In fact, both products loosed upon the world at the same event within minutes of each other might be too much for some people, perhaps even killing a few. 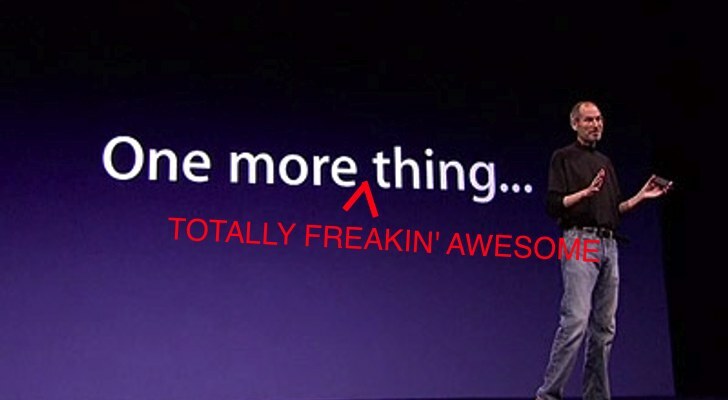 Imagine Tim Cook saying, after wowing the planet with the iPhone 5, but there is one more thing… Boom! The iPad mini release and a million Apple fan boy heads spontaneously explode.